Posted on October 24, 2013 by harryipants	• This entry was posted in Uncategorized. Bookmark the permalink. That’s a beautiful piece of writing Harry. Thanks for sending it. Sue liked it too! I’m sure Sue appreciates it because it reminds her of what you two have. Which will always be better than words anyway. Well, I wouldn’t go so far as to say that. More incredible luck than good management. But I’ll take such blessings as are given me. What is the picture though? 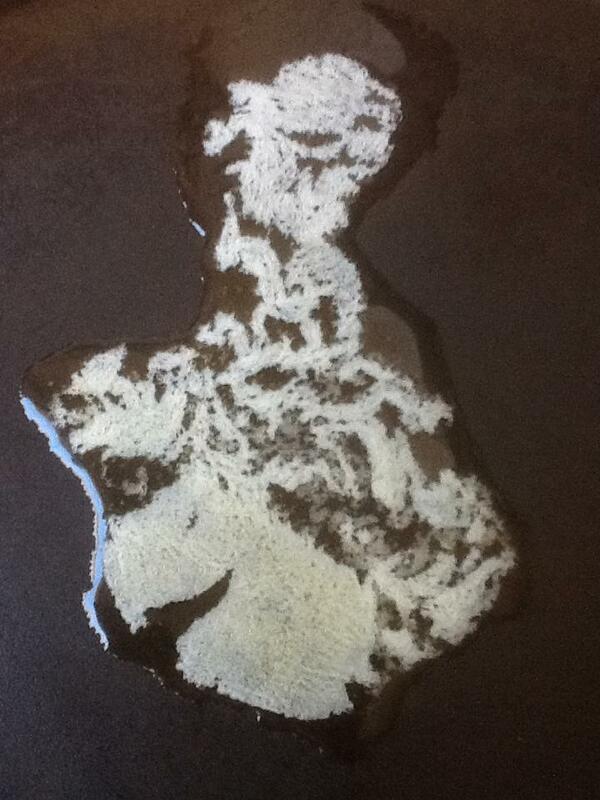 Is it spilt milk mixed with a little beer in the shape of a half man half guitar or is it some kind of psychological quiz that I just failed? Haha, it’s a psychological quiz if you decided to make it one. It’s actually just butter melting in a pan. It looked cool so I snapped a photo before I threw the mushrooms in. Although your recipe sounds like more fun. You softie you. This is so sweet. That’s just a very small part of me. Home… funny how for all the things we spend our time doing, that’s all we really want. A place just to be, not to be weighed. Lovely. I think, too, that having found our home, it allows us to be the best we can be. Our work improves, as well as our life. You know it too Alarna, and I’m glad. Decided to come on over, WOW, goodstuff here. And to think you have a heart too, love it. Hi Carolynn, thanks for visiting, I’d have cleaned up the place if I knew you were coming. Just don’t let it get out, the whole having a heart thing, okay? I have a (bad) reputation to uphold.